Rhythm Court is in sessions for DJ-DA. So I imagine this will have a fair amount of questions. A couple months ago I found that "Dumb Running Sonic" video with another song from these guys attached and I've been hooked on them since. The hook was so strong that I *HAD* to get an animation out of my system about it. 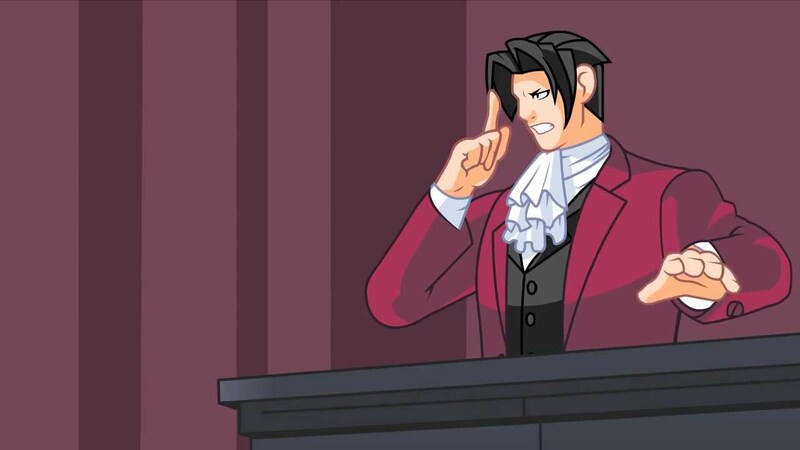 Also, I had just watched someone play through Phoenix Wright and somewhere along the lines I got the mental image of the beats coming from the hand slamming, and, well, here we are. What, the glasses? They're on loan. What? Stop looking at me like that. Yo Capcom, how about them Ace Attorney Investigations: Miles Edgeworth 2 and Phoenix Wright 5?